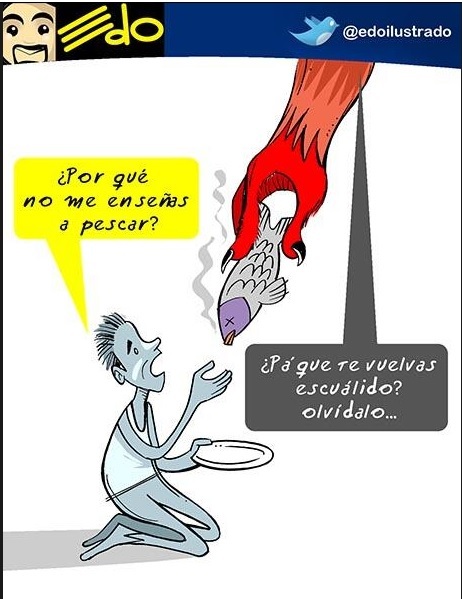 “…It’s not like we (the government) are gonna take the people out of poverty so they become middle class and then turn into escuálidos (term used by Chavistas to call opposition supporters)”. He also said that poverty “…is very complex and difficult to measure”. So, that old argument about how the social missions defeated extreme poverty in Venezuela doesn’t quite fly, isn’t it? The outburst by Rodríguez points to a radical contradiction inside chavismo: the idea that you can foster a communist society by giving away free stuff. The insane notion that people will grow to love communism through free washers, subsidized trips abroad, and free gas is self-defeating, because marxism is based on the notion that the material aspirations one typically associates with middle-class values are bourgeois, anathema to the “new man” they claim to want to create. Only a rhetorical magician like Hugo Chávez could maintain the illusion that, yes, socialism meant improving your material standard of living. Without him to tame his minions into message discipline, the truth is going to spill out from time to time.